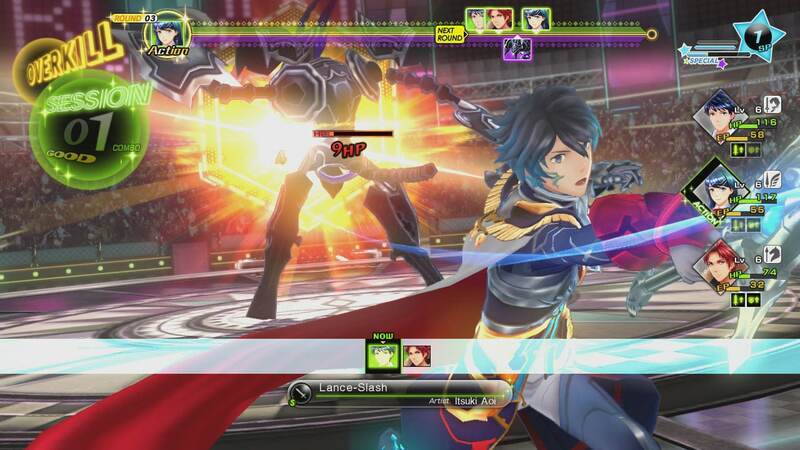 Tokyo Mirage Sessions #FE is a Japanese RPG that blends themes and characters from Shin Megami Tensei and Fire Emblem. This is a combination that shouldn’t work, but they manage to pull it off nicely in this deep and strategic RPG. It is entirely possible that Mirage Sessions will go down as one of the most criminally underrated games on the Wii U. It is beautiful, it’s art style is interesting, the combat is challenging, and the characters are entertaining. There will be some folks who don’t appreciate the Japanese cultural influences in the game, and that makes sense to a degree. But, unless you have a significant aversion to J-POP music, then these things should not frighten you away. The story itself is straightforward. Humans all possess a magical energy called “Performa.” Some people, mostly singers, actors, artists, etc, have more Performa than others. This energy can be used for good or evil, so obviously, there is an evil demonic force that wants to capture all of it and use it for nefarious purposes. Players control a team of Mirage Masters. These are people who have formed a bond with a “mirage.” These are essentially the spirits of characters from the Fire Emblem universe. They grant thei Mirage Masters unique abilities and defenses to help battle against the demon armies. The story is interesting enough, and contains some interesting twists so I won’t discuss it here, but the game really shines while in combat. Players control a team of three characters as they participate in turn based battles. You are encouraged to take your time and plan as all sorts of information is available while you fight. You can see the exact turn order in a bar across the top of the screen, and each monster has a window associated with them that identifies their weaknesses and defenses. This information is critical for two reasons. Enemies pull no punches. They go at you full bore and take advantage of any weaknesses you might have. Some of the skills you earn as your characters are called “sessions” which are special moves that trigger when you hit an enemies weakness. For example, one of the first sessions you learn is a move that triggers when you land a lightning attack against an enemy that is weak to it. These equate to free attacks that can deal devastating damage and keep enemies from counter attacking on later rounds. This isn’t a system you can ignore either. It is core to the experience and mastering the system is the only way to proceed in the game. Sessions isn’t without is flaws though. Several of the dungeons in the game are so large that they need multiple trips back and forth to town to complete. This really stifled my desire to explore as I was often retracing some of my steps. Well. No. Not really. At the end of the day this game is heavily inspired by anime. As a result some of the outfits and animations are a bit sexualized. That isn’t to say that the entire game is all about those themes, but they are certainly difficult to avoid. Some of the monster designs are pretty creepy, so that is definitely something to consider as well. Rating Summary: This is a role-playing game in which players assume the role of a high-school student who solves a mystery while helping his friend become a pop idol. As players explore dungeon-like environments, they engage in turn-based battles with fantastical enemies known as Mirages. Characters take turns selecting moves from a menu in order to use arrows, spears, swords, and magic attacks to defeat enemies. Battles are highlighted by yells, impact sounds, and light effects. Some female characters are depicted wearing low-cut clothing that reveals large amounts of cleavage; a handful of cutscenes contain brief close-ups of characters’ cleavage. Characters occasionally engage in suggestive dialogue (e.g., “I need no praise from some disappointing 3D girl with a 2D chest!”). In a handful of scenes, a character is depicted drunk and hungover (e.g., dry-heaving sounds, slurred speech); players are to tasked with finding a hangover remedy for her. The word “sh*t” appears in the dialogue. 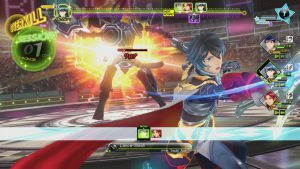 Tokyo Mirage Sessions is a deep RPG that involves a lot of strategy. You can take your time during battles. But, no amount of patience can make up for being bad at dealing with complex decision making. 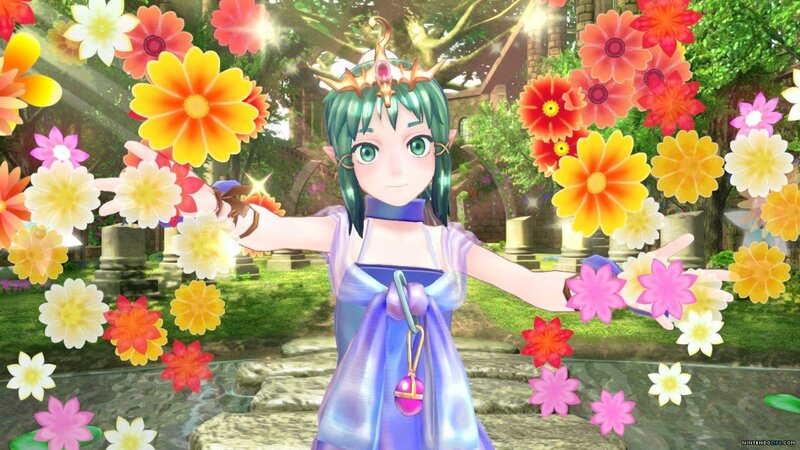 I think that the Tokyo Mirage Sessions #FE is being criminally underrated for its value as an RPG. Any adults waiting for Final Fantasy XV should check it out. With that said, if you are looking for an RPG to share with your kids, then you may want to look elsewhere. Mario and Luigi: Paper Jam Announced! Nintendo has announced a new game in the Mario and Luigi role playing game series. 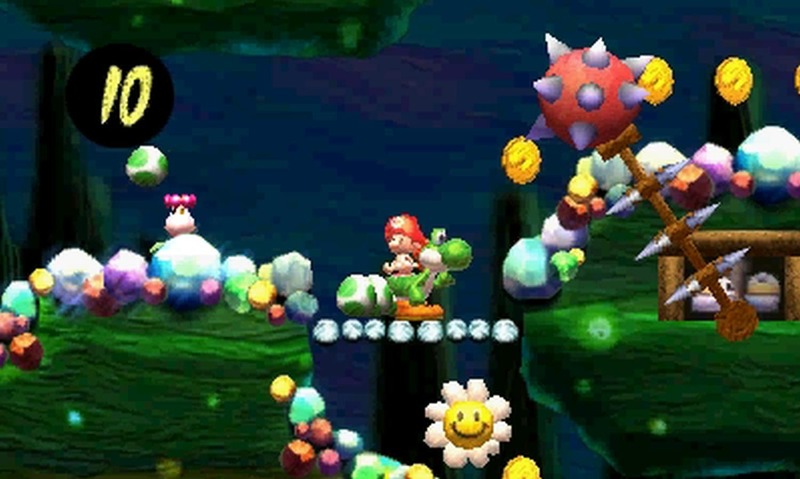 The game is called Mario and Luigi: Paper Jam and appears to combine elements of both the original series and the Paper Mario games. This was, quietly, one of the most exciting announcements of the show. It is a subtle combination of two game series that have been very successful for Nintendo over the years. Even better? Both of these games tend to be hilarious on their own and the humor potential of including two matching sets of Nintendo characters into the same game is undeniable. We don’t know a LOT aside from the release window of Spring 2016, but we can assume from the trailer that it will be a role playing game that will include some action elements. For example, in combat you will need to jump on classic Mario enemies like Koopa Troopas and Goombas. You need to perform button presses at the right time in order to do bonus damage. We’ll learn more about this game as it comes closer to release thanks to the inevitable Nintendo Directs that will be released over the rest of the year. Keep your eyes on Engaged Family Gaming for more news as we approach the release date. Star Wars Day Video Game Sales Have Started! International Star Wars Day is coming up on May the fourth (Do you get it? Yeah.. you got it.) and with it come all kinds of great sales on Star Wars merchandise on online retailers. Video games are no exception. Below is a list of sales that have started on Steam, Good Old Games, PlayStation Network (PSN), and Xbox Live. The sale prices are listed next to each game title with their sale prices in parenthesis. The sale ends May 7. Steam has finally managed to add the X-Wing space combat games to their library. Each game in the series has been discounted by 10%. Additionally, the Star Wars X-Wing Bundle includes all four games listed above for $26.99 (29.99). Steam has a bundle called the Star Wars Collection which includes every Star Wars game on the service except the four games in the X-Wing bundle listed above. The bundle is on sale for a mere $23.00 (its original price is $99.99). There are fourteen games in the bundle and they include some absolute classics. If you or anyone in your family is a Star Wars fan, then this is a most buy at this price. These are the games in the bundle. It is worth nothing that they are all on sale individually as well. Their individual prices are listed for reference. The sale ends May 5. Sony is celebrating Star Wars Day by discounting several bundles of games that include PS1 Classics, newly released PS2 Classics, PSP games. The following games are on sale individually for those people who aren’t interested in a bundle of games. The sale ends May 4. The following games are listed as on sale for the Xbox 360, but no information was provided about their pre-sale prices. Good Old Games is debuting a lot of new Star Wars games on their service as part of the Star Wars Day festivities. All of the other Star Wars games available on GOG are discounted as part of the celebration. They are also each included in one of two special bundles. The Blaster Bundle includes seven games, all of which have a major focus on tactics and space combat. The Saber Bundle includes eight games which focus more on using lightsabers, force powers, and other infantry abilities. Check back here for more sales as they are announced! The Avatar series has been a mainstay on Nickelodeon for years now. Unfortunately, it has not translated very well to other forms of media. The movie was atrocious, and the video games have been slightly better, but more so because the movie was just that bad. It was with all of that in mind that I came into my experience with the Legend of Korra with very low expectations. 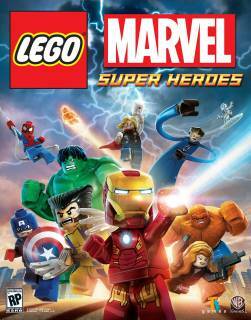 I knew that the story and characters lent themselves very well to the action game game. I also knew that the developer, Platinum games, were experts at crafting stylish action games. But, I knew above all else that licensed games are fighting an uphill battle from the minute they begin development. They had a good chance to defy my expectations, and they did in some small ways, but I canʼt say that Legend of Korra was a “good” game. Platinum games is known for their contributions to the stylish action genre and that is the one lonely area where Legend of Korra shines. I have long dreamt of knowing even a little bit of what it is like to be a fully realized avatar. Platinum has managed to get me as close to that as I will ever feel. Combat is relatively simple on its face. You use one of two face buttons on the controller to initiate quick and strong attacks. The bumpers on the controller are used to rotate between the four different elements of bending (air, water, earth, and fire). Rotating between them creates some insane combos that mix the four elements in visually astonishing ways. The different elements each serve different purposes (water is used to attack enemies at range, earth is good against armored opponents, etc). The mechanics of the combat are sound. Korra was not the most agile of characters I have played as in these genres, but all of her moves were deliberate and strong. It suited Korra very well. The problem with all of that is that I was robbed of the ability to experience all four of the elements together in concert until the very end of the game. Platinum accomplished this through the narrative by having the antagonist rob Korra of her bending powers at the very beginning of the game. I spent so long plodding through the game trying to earn it all back that I likely would have given up if I were not playing it for review. The blessing in all of this is that Legend of Korra is a very short game. It is a bite sized experience that could be beaten within a few days of play. This helps keep its repetitive nature less of a flaw. It feels more like a walk up a steep hill than a trudge through a miles-long swamp. All of the conflict resolution in The Legend of Korra is completed through combat. She unleashes powerful kicks and punches against her enemies in fierce combinations. She also uses her bending to use each of the four elements against her opponents. In the end, the action in the game is no more intense than that of the Nickelodeon cartoon. If you would let your child watch the show, then there should be no real concern here. The Legend of Korra is not a simple game. Controlling Korra and all of her bending powers requires a the use of multiple different face buttons on the controller as well as the bumpers on the shoulders. This will make the game challenging for younger children with small hands all on its own. The complex control scheme is only made worse by arbitrary spikes in difficulty at different parts of the story. There are times where even experienced players will need to retry encounters because enemies are just doing far more damage than they feel like they should be. I want to recommend this title because I am such a huge fan of the show, but it is hard to recommend this game to anyone who is not really hungry for Avatar content. Pushmo World Coming to Wii U This Summer! Pushmo and Crashmo have been huge successes on the Nintendo eShop on 3DS. So much so that a release on the Wii U was inevitable. Pushmo World will launch on June 19th exclusively on the Nintendo eShop on Wii U at a price of $9.99. Pushmo World is a game designed to be enjoyed by people of all ages. Mallo and Papa Blox are adorable characters that are designed to appeal to kids. The puzzle-based game play will be attaractive to long time gamers looking to for new challenges. Players are given the task of solving three-dimensional puzzles by pushing blocks around on a 3d plane and climbing to the top. The challenge increases over time by introducing larger puzzles with more moving pieces. But, fear not! If players get overwhelmed by a puzzle they can skip ahead to the next one. Pushmo World will also feature “almost endless replay value by letting players create their own puzzles!” Once a player completes (and solves) their puzzle they can then share it using a built-in QR code generator or through the World Pushmo Fair. Pushmo World looks like a great puzzle game for the whole family and a whole lot of game for $10! Keep your eyes here at Engaged Family Gaming for more news and a review as we get closer to the release! There is a common idea running around that all mobile games are low quality time wasters. This may be true of a lot of the free-to-play titles that reach the app store, but it is far from a universal truth. Tablet gaming is just another medium that talented game designers can use, and as such there are some exquisitely beautiful games, and Monument Valley is one of the best examples in recent memory. Monument Valley tasks players with guiding a young girl named Ida on an abstract journey across MC Escher inspired environments. Each level has various points of interaction that might raise, lower, or rotate the different parts of the level (or the level itself). The solutions are not obvious unless you are willing to abandon your preconceived notions of perspective within a three dimensional space. For example, a stairway might connect to a platform in the foreground in one position and the background in another. My sons actually had a bit of an advantage in this game because they didn’t have thirty plus years of experience screaming at them about what “made sense”, they were willing to experiment more openly and when things defied their expectations. It wasn’t as mind twisting for them as it was for me. All of these environmental puzzles are strung together through an ambiguous narrative where Ida is returning geometric objects to the ruins of a fallen civilization. Nothing is ever definitively spelled out, but that in itself matches the rest of the experience. The abstract art style is hauntingly beautiful and lends itself very well to family play. The stages have no real fail state so death never happens. In fact, the worst thing that ever happens to Ida is being squawked at by a crow person. Monument Valley is full of challenging puzzles, but none so difficult that they are unsolvable. Once players train themselves to look for interaction points in the various levels, the solutions tend to spell themselves out logically. Text is mainly used for story exposition, so reading is not really necessary to play the game. However, it is likely that children who are too young to read the story will have difficulty understanding the puzzles themselves. They will still be able to get through the game eventually, but their success will likely be a function of luck and time. Monument Valley is an excellent experience priced at $3.99. This is more expensive than a lot of the other titles on iOS, but I believe that the game is strong enough to be worth it. Disney’s Castle of Illusion starring Mickey Mouse is a stunning recreation of an amazing game. The developers managed to capture the essence of the original (that was published on the Sega Genesis) and breathed new life into it through updated visuals and modern level design. Castle of Illusion’s greatest strength comes from pure whimsy. I caught myself smiling more than once even while I was struggling with some of the more challenging parts of the game. The story is simple. Mickey and Minnie go for a picnic only to be waylaid by the evil witch Mizrabel. She kidnaps Minnie and brings her to the titular Castle of Illusion. You control Mickey as he tries to rescue her. The game is fully voice acted, and the narrator is amazing. It felt like I was playing inside a living storybook. The game is a bit on the short side, but I never felt like I was being rushed to the end, or held back by repetitive levels. Everything felt new and interesting throughout. Castle of Illusion is completely safe for kids. Some of the masters of illusion are a little intense, but this is as tame as your average Mickey Mouse cartoon. If they can watch that, then they should have no trouble playing this game. Kids may enjoy themselves while they play, but this is definitely a challenging game. The controls are very simple. So children will have no problem figuring out how to move around. The game does, however, regularly shift perspectives in the middle of levels which can be very difficult for even the most experienced players. For example, in one level you will be traveling along in a level that is not unlike any Mario or Mega Man game that you have seen, until the game shifts perspectives to 3D and gives Mickey more freedom to move. The boss fights at the end of each level are built around pattern recognition. Each time you manage to jump on a bosses head the pattern changes slightly. This might be frustrating to children who aren’t very good with patterns yet, but this is a great way to practice. If you and your kids are fans of Mickey Mouse, then this is a must play. Frankly, the only reason I can see why you WOULDN’T need to play it is if you have some weird moral issue with Disney. And even then… lighten up. This is a great game. Editor’s Note: This is the beginning of a weekly column where our collectible card game expert, Jason Jarusinsky, will delve into, explore, and illuminate all aspects of the collectible card game world. Come on back every Wednesday to Chill With Some card Games! The mission here at Engaged Family Gaming to make sure that we provide parents with the tools they need to be active participants in their children’s gaming. collectible card games like Magic: The Gathering and Pokemon are very popular and we don’t want parents to be left in the cold. This marks the beginning of a weekly column dedicated to demystifying the collectible card game (CCG) landscape. I thought I would start by telling you a little bit about myself. I don’t have kids of my own yet, but I have been playing games for most of my life and have always had an interest in helping younger kids get into the games that I play. Over the years I have played a TON of collectible card games (CCGS). I have played them all at one point or another from Pokemon and Yu-gi-oh to several games that never found a lot of success. Magic: the Gathering, however, has been the one game that I keep coming back to. I look forward to one day teaching my kids how to play. But, in the meantime, I’ll help other parents do it instead! I will be covering a different topic about collectible card games each week. I’ve got tons of interesting topics lined up, but if there is something that you want me to cover please contact me. Email me at CCG@engagedfamilygaming.com if you have specific questions you’d like me to write about!